I've had my previous Empties post in June here . Of course I use up a lot more skincare/body products but not all are worth mentioning or don't want to repeat myself. 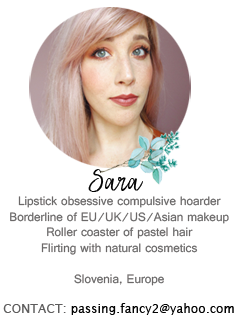 Let just focus on makeup and nail polish empties and bonus skincare/bodycare stuff. It's a perfect dupe for L'oreal False Lash Telescopic. Bristles are rubber and mascara wand is long and thin. Performance is okay but gives great results combining it with volume mascaras. I would say it gives length rather than volume. I was disappointed comparing it to the older Telescopic mascara. It was one of my favorites by far but the new version is average. I quite liked it when it got a bit drier but still - in combination with other volumising mascaras. Hell of a lot of money for an average mascara- 12€! I already mentioned this mascara as one of my favorites at the moment. However I think the pink version from Essence took it's place. I love it for quick and easy brow definition yet it serves great as a topper over pencils or eyeshadows. This tube lasted me for 4-5 months. Awful eye pencil - stings the eyes, worse sharpening ever, too soft and smudgy. Ahh, my love <3 This baby was well loved by me and my sister. In fact, I had to order 3 new ones for my entire family. I used it as a contour, blush, eyeshadow, filling brows. However new Taupe blush was reformulated and I'm quite disappointed- no pigmentation and a warmer shade. Anyone noticed? I think this is the second gel liner from Essence I'm throwing out. I can't bare the texture and sheer pigmentation. Maybe it's just me...but I do love Catrice Gel liner. These masks are the best- in fact, I'm already waiting for my next mixed sheet mask package. I love the scent, their effect and the whole non-messy procedure. I generally hate masks but I can bare with a cloth on my face. In general My Beauty Diary is the best- especially the Black Pearl mask. I swear on Korean BB creams. My sister loved the watery version so I wanted to try the shimmering version. I actually layered this one before my foundation and it really brightens the face. Texture is a bit heavy but I can't complain for 5$. 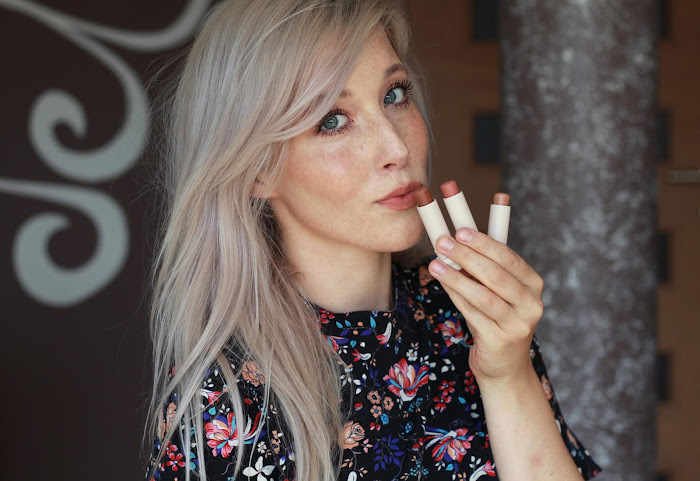 An okay pink-toned concealer for under the eyes. Would definitely recommend. This brush was perfect for buffing liquid foundation but unfortunately the bristles are shedding out like crazy. Kind of breaks my heart. I actually finished a lipstick over a long period of time! Lip butters are great and the shade was a no brainer for on the go. Cute, smells divine, easy to use. I'm not totally satisfied with moisturising effect and third of the lipbalm fell through the packaging so technically you can't use all of it. Hardest lipbalm ever. Smells like wax and I couldn't bare to use it up. Lip Smackers have always the best scents. They are spot on so you can imagine how this smelled like. Not great for chapped lips but okay for using it now and then. It's a mini version from their set. It's actually a nice plumping lipgloss with cake/vanilla scent. The shade was a gorgeous milky-pink. Ordinary lipbalm with moisturising bits. I actually liked it but reminds me on lipgloss textures and the expiration date was short. Okay grey color for everyday. I love Essence nail polishes in general. Lovely raspberry shade but I hate Manhattan's texture and bottle. They dry up fairly quickly so I'm not a big fan. Classic floral/fresh scent but not my cup of tea. It was a nice addition but I prefer vanilla/sugary scents. Another great cleansing product from natural brand Alverde. I really like these emulsion type of cleansers since they don't dry up my skin. They smell divine but I actually prefer the calendula one. Lush skincare is amazing but I just can't deal with their staff. If you love rose scents this one is for you. Another one of my favorite micellar waters along with Bourjois. The bottle is horrendous and you need quite a lot of product but I can't justify Bioderma prices. This is a great addition with some sort of acid that helps preventing blackheads and spots. It actually works if you apply it every day....but I think I found a better solution. La Roche Posay Effaclar Duo is actually AMAZING! Thick cream with rose scent. Another natural brand I like to use over night. It's a really thick cream but doesn't break me out. I need extra hydration for my dry skin so this one is perfect. It suppose to correct pigmentation but I didn't notice any visible effects on my freckles. A waste of money, a waste of time. On the other hand, Balea surprised me with their correcting cream. It contains some sort of acid and vitamin C to eliminate dark pigmentation. I actually noticed a slight difference which is a huge impression for 5€. We'll see how it runs on longer period. One of the best shower oils in the drugstore. I even compared it to my L'occitane Almond shower oil since it gives similar effect and even nicer smell. Smells like vanilla cupcake-almond. A great purchase for such a low price! A similar product to Afrodita but lower quality. It's actually not an oil but a plain creme but I do find it a bit more moisturising than regular shower gels. Scent is nice too- almondy sweet. My must have for Christmas. I buy it every year and the medium size bottles always last whole year. Not really sure about it- just another body oil with strong citrus scent. I like the idea. Body lotions from B&B always smell divine and they sink in quickly. You can probably imagine this delicious scent. Leave-in conditioner that easily detangles my wet hair. I use this one or Dove religiously after every wash. Smells delicious too. Amazing purple shampoo for blondes from the drugstore. I highly recommend it for 3€ since it's well pigmented and effective for brassy tones in blond hair. This purple shampoo surprised me. It's a lot lighter than the other one but way more warmer/pink shade. It's actually quite effective since purple/pink works great for white hair. Of course it leaves a slight cast but I don't really mind it. I'm actually really proud of myself this time. I used up some make-up which is always hard if you have loads of it. Do you like these kind of posts? A res so Taupe reformuliral? :O Ni mi blo treba še novga kupvat, sm pa že nekaj časa nazaj slišala, da ga bodo discontinual (ne znam slovensko :D). Očitno so "samo" formulo spremenili. In meni se je isto s tem elf čopičem zgodilo ;/ Pa tako dobro mi je služil. I'm a massive fan of the revlon lip butters, really can't get enough of them! I'm usually a bit wary of brights but because these are so sheer even the garish of colours look ok on me! Ful dobr post! Mene tale šampon za blond lase res ni prepričal ne vem, pa sm jih sprobala že kar nekaj pa mi je tale najmanj všeč!